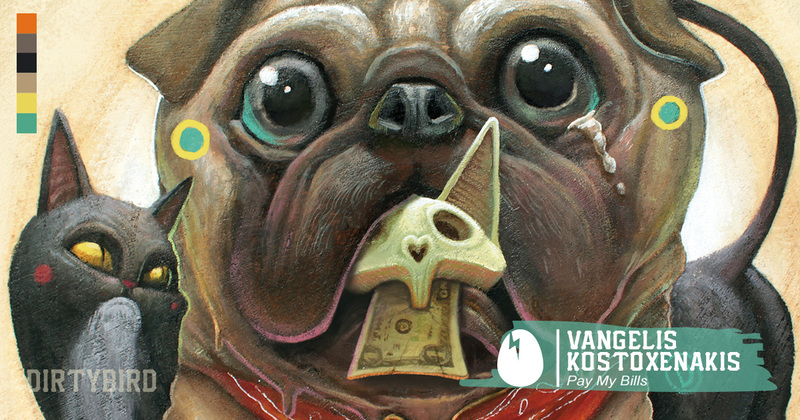 You already know Dirtybird brings out the best Booty Bass House music in the world but did you know they released “Pay My Bills” by Vangelis Kostoxenakis last month? It’s a jam and in case you missed it, here it is for your listening pleasure today. Vangelis Kostoxenakis is an up-and-coming producer out of Greece who has a fantastic catalogue of Tech-House tracks, many of them ready to destroy dance floors. I was made privy to Vangelis Kostoxenakis’ sounds a couple years ago when Tube & Berger featured his track “Ladies” on their guest mix for Toolroom Radio (check out that mix here, it’s awesome (starts during hour two)). “Ladies” even made my Best of 2016 DJ Weapons list. After that point I started browsing around and added several of Kostoxenakis’ tracks to my catalogue. Though Vangelis Kostoxenakis is relatively unknown to the masses, his tracks have seen heavy rotation by some of the world’s biggest DJs. Seeing a release on the juggernaut Dirtybird is no small accomplishment and hopefully this leads to well-deserved notoriety in the near future. For now, BLAST “Pay My Bills” every chance you get because it’ll get those booties shakin! Dirtybird Quarterly Returns to Mezzanine San Francisco This Friday!